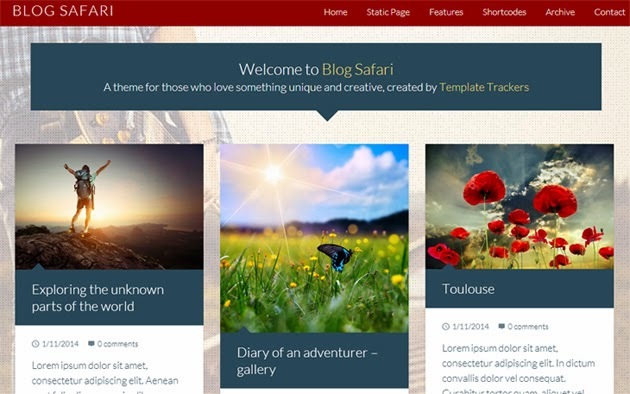 Blog Safari is a unique mixture of creativeness and web-art. It's a portfolio style magazine created by implementing all the best web-technologies and techniques of the present. Performance of Blog Safari is robust, it's powered by jQuery to make it's functioning more dynamic and CSS has been used to add the creativeness in it. Overall this is the template which can really bring awesomeness to your blogger site.